The College was founded in 1871 by the German Evangelical Synod of the Northwest, a predecessor of the UCC. The church’s core values of open engagement and social justice have guided us ever since. In the UCC’s spirit of radical hospitality, Elmhurst College welcomes people of all faiths—and of no faith. We encourage students of all beliefs to examine their values, confront moral questions and prepare to lead meaningful and purposeful lives. All students at Elmhurst take at least one course in religion or theology. An annual religious lecture series encourages the College community to come together regularly to reflect on questions of faith. Several student organizations promote religious or spiritual values, including the Spiritual Life Council, the Catholic Student Association and the Muslim Student Association. Our chaplaincy office provides spiritual guidance and hosts worship opportunities for people of many different faiths. Beyond the classroom, service projects encourage students to give back to the community. Officially founded in 1957 as the union of four Christian denominations, including the Evangelical and Reformed Church, the United Church of Christ is a diverse community with a heritage of intellectual rigor, social responsibility and action in the service of faith. With more than 5,000 churches and nearly a million members across the United States, the UCC serves God in the co-creation of a just and sustainable world. The UCC was in the forefront of the anti-slavery movement and the Civil Rights movement. More recently, the church was the first historically white denomination to ordain an African American, a woman and an openly gay man, and it was the first Christian church to affirm the right of same-gender couples to marry. 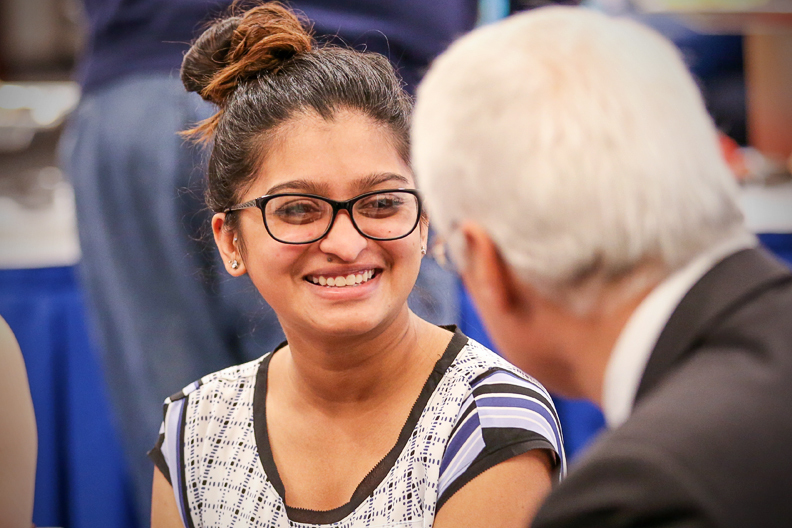 Elmhurst College offers generous scholarship support for students who are members of the United Church of Christ. I am proud to say that my son and his life partner are both graduates of Elmhurst College. I can testify to the high value of the quality education they received and the spiritual and moral grounding that accompanied the education.